Connect with the Alliance through The Connector! 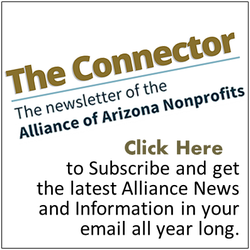 The Connector newsletter is the Alliance's main electronic communication piece, sent via email twice a month. Stay up to date on important nonprofit news, events, job postings, and special programs.